Blogging is a great platform for sharing ideas, inspirational photos and educating others. I started this blog because I love to inspire my customers. I want them to get the most out of their Thermomix. I enjoy playing with food photography and sharing my recipes. In addition to posting on this blog, which I am hoping to do a bit more of in 2015, I read blogs. Lots of them! Often! Do you spend a lot of time checking your favourite blogs, looking up individual sites? Why not have them all in one place, so you can see what’s new, at a glance. A RSS reader will do this for you and I use Bloglovin. 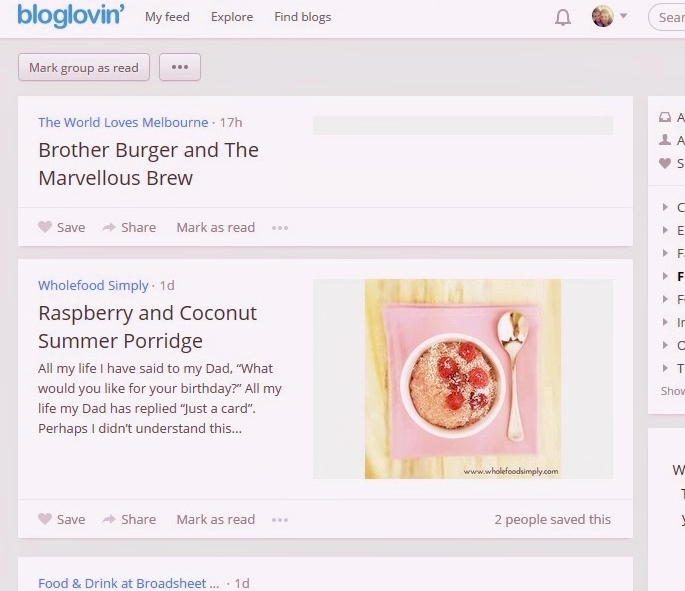 Bloglovin allows you to enter the blogs you read, categorise them and choose to read now or read later. It allows you to save your favourites and comment easily. If you would like to set up an account, you will find this tutorial very helpful.